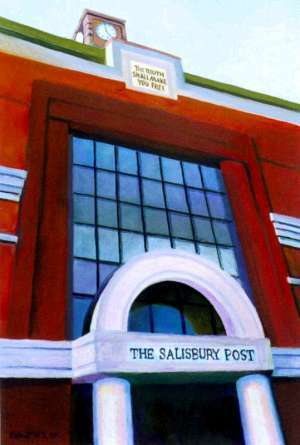 This series of paintings are an American Impressionist vision of historic downtown Salisbury, NC. A series of colorful upbeat representations as seen through the eyes and mind of artist Robert R.Toth. "The truth shall make you free." A signed and dated print from an original painting by Robert R. Toth.